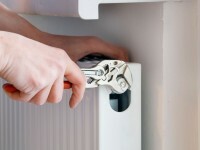 FMC provides prompt and professional HVAC-R services to customers throughout Southern California. Whether you are just concerned that your air conditioner is not working as well as it used to or your unit has shut down completely, we will have a technician out quickly to take a look at it. FMC performs repairs and maintenance on all makes and models (no matter what the age) of heating and air conditioning units and air-quality systems. Our trained and friendly technicians will diagnose the problem with your air conditioner for a minimum service fee, quote the necessary service repair and then complete the repair if you agree!